Motorway A7/E714 (exit 23 Avignon Nord), express way Avignon Carpentras D942 (direction Carpentras), take exit Monteux-Est Loriol-du-Comtat, at the round about follow direction Loriol du Comtat. Drive 3,1kms on D107. 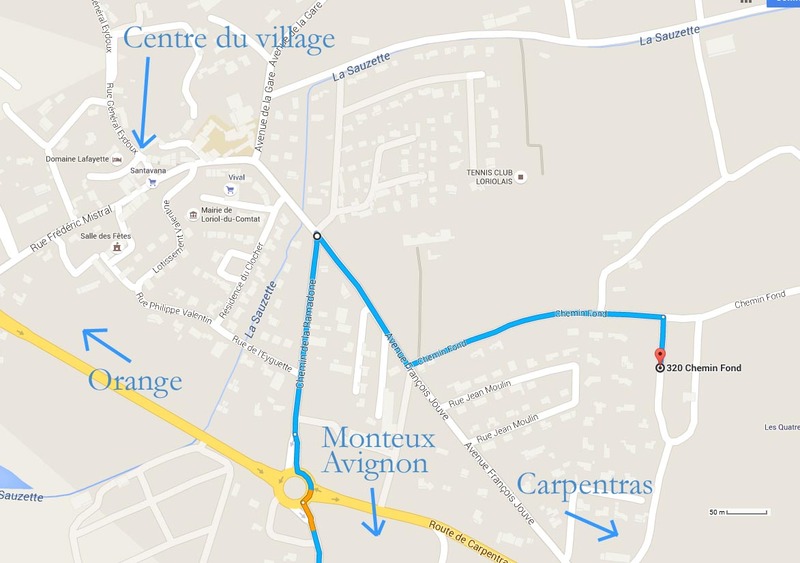 Approaching, the village, at the roundabout, take 2nd exit: "Chemin de la Ramadone" for 250m. Reaching a crossroads, take 1st right: "Avenue François Jouve". After 200m, take on the left "Chemin Fond". 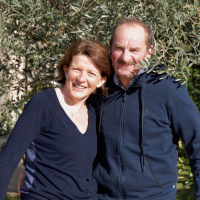 The Gite du Barriot will be at 300m on your right. 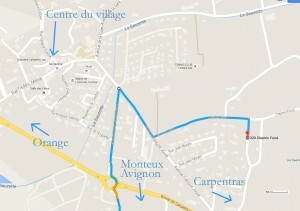 How to get to the gite from the village centre.